Posted by raznprince in Pokemon TCG, Site Updates. Event links from the Boundaries Crossed Pre-Release post have been posted! Click here to go to the post. Congratulations to Calvin, Seth, and Gryphon for taking top honors in their respective age divisions at the Modified-Constructed tournament this weekend! Also, congratulations to Heather H. for winning the HGSS Playmat door prize! League Cycle 2012-2013 Begins on October 22! To kick off the new League Cycle, we will be hosting League next weekend (October 27) the same time the Boundaries Crossed Pre-Releases are taking place. If you ordered a Badge Case and had it sent to our League, you will receive one. As one final reminder of our new League Policy, linked Player IDs to your Trainer Club account is mandatory. Please ensure this happens or we cannot award you any promos for the new season. Let Gyphon or I know if you need a new Player ID if you don’t have one or lost your activation PIN code! As you all have voted, I will be hosting a Boundaries Crossed Sealed Tournament at HV on Saturday, Novenber 17. Registration will be from 11:00 A.M. to noon and fee is $27. Please be reminded that this is NOT a Pre-Release event as the set will be released on Wednesday, November 7. As usual, you will receive six (6) booster packs of Boundaries Crossed to build a 40-card deck, play three (3) rounds of Swiss, and receive two (2) additional booster packs at the end of the tournament. Basic Energy will be provided to borrow, but bring-your-own Basic Energy is highly encouraged. Click here for more information. If this tournament will be your first and only sanctioned, non-Premier Event you attend for the month of November, you will earn one (1) Play! Point! This tournament will also feature a twist! Stay tuned for more on this as it comes closer to the event. As ususal, let me know if you have any questions! Posted by raznprince in Events, Pokemon TCG, TCG News. The Pre-Release events of the Boundaries Crossed in GA have been announced. For more information information such as addresses and event times, click here, otherwise click on the above links. Registration is $30, which pays for a total of eight (8) booster packs, a promo card and a promotional item. Registration for this event is $27, and will net you the same incentives listed above. I hope to see you come out to a Pre-Release! Posted by raznprince in Events, Pokemon News, Pokemon TCG, Pokemon Video Games, TCG News. Black 2 and White 2 versions are out for the Nintendo DS! Don’t forget to download Genesect from Nintendo Wi-Fi now through November 12! If you downloaded Keldeo and taught it Secret Sword, you can trade it over to your B2 or W2 version and transform it into its Resolute Forme! Take your Keldo to Pledge Grove, which is in a hidden passage behind Alder’s house in Floccesy Town, and inspect the rock. Even if your Keldeo doesn’t know Secret Sword, you will still have the opportunity to teach it when you get to the rock and it will transform into Resolute Forme that way. As long as Keldeo knows Secret Sword, it will remain in Resolute Forme. If you own a Nintendo 3DS or a 3DS XL, you can download the Pokémon Dream Radar app for about $2.95. With this app, it is possible to capture the Therian Formes of Tornadus, Thundurus, and Landorus as well as other Pokémon that you can transfer over to your B2 or W2 version game! The Autumn TCG and VGC Regional Championships are this weekend! Click here for a location near you! Chris Clark will be the TO for this event, and registration will be $27. Click on the link above for more information. I will post information about GA events as they become available. If you are interested in participating in this tournament, registration will be from 11 A.M. to noon, and fee is $5. You must construct your deck within the BLW-on format. Completed decklists will be required. If you need to print out a decklist, click on the Library tab above, and click on BLW thru DRX Decklist document. It is recommended that you bring your completed decklist and cards in your deck in the same exact order face-up when you arrive as the registration process typically takes longer than sealed tournaments. Decklists will be provided at the event, but it is recommended that you arrive as soon as registration opens if you need to fill one out onsite. Prizes will be based on division attendance and the tournament will be conducting Swiss rounds. Top Cuts will be enforced for large turnouts (at least 8 players) in a single division. All players are encouraged to consult the Official Tournament Rules document (in the Library tab) for the standards of conduct for this type of tournament. League Session for this date will be CANCELLED. Possible Boundaries Crossed Sealed Tournament Date Ideas? I am looking to host a post-release sealed tournament for Boundaries Crossed at HV. I have already solicited feedback for dates and have heard from a few players that say they won’t be able to attend on Saturday, November 10, which was what I originally planned. So players, I need your help in deciding the date. Would you like me to run the event on Wednesday, November 7 (actual release date) or Saturday, November 17? Please leave a comment on proposing a date while keeping in mind that your suggestion will be the date you are most willing to attend. Please understand that due to the recent rising cost of Pre-release events, I am obligated to raise the registration fee to $27 for eight (8) total Booster Packs starting with Boundaries Crossed. Don’t forget to link your Player ID Number to your Trainer Club Account! 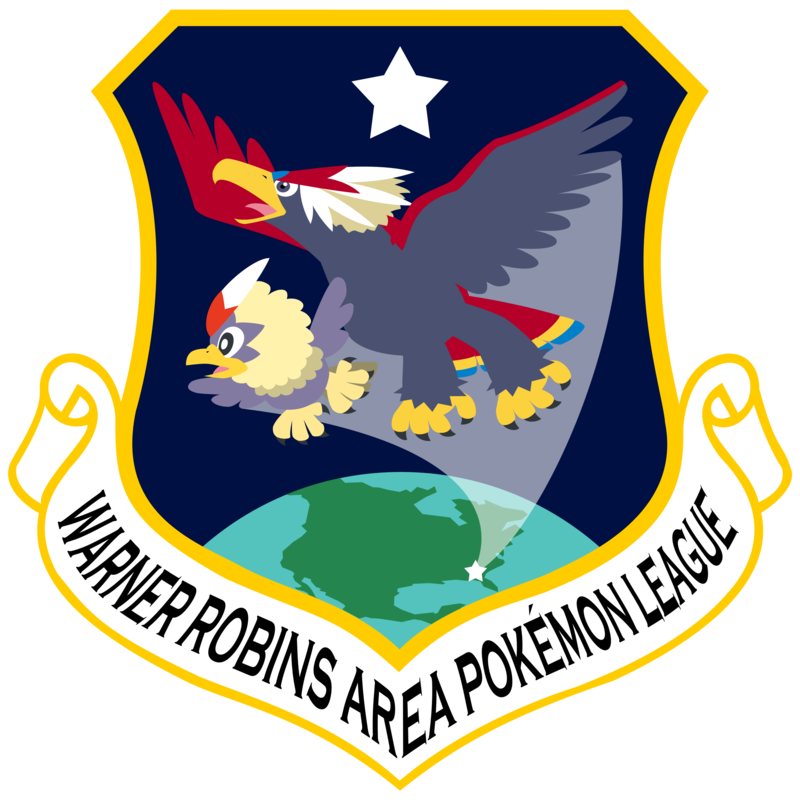 Starting on October 22, WRAPL will enforce the new League Policy that states we reserve the right to refuse League prizes to players who attend our League and have not linked their Player ID numbers to their Trainer Club accounts. However, players will continue to receive stamps toward their prizes and will receive them retroavtively when this requirement is met. The quantity of our future prize kits ultimately depends on attendees’ linked Player IDs, so please make every effort to complete this requirement as soon as possible! Let Gyphon or I know if you need a (new) Player ID! As usual, let me know if you have any questions or what your response is for the Boundaries Crossed Sealed Tournament date!